Games on Demand: See the launch of Xbox’s GoD with over 30 games. Say goodnight OnLive. Great games on Xbox LIVE and Xbox LIVE Arcade: Xbox LIVE Arcade brings you the second annual Summer of Arcade, featuring games like: Shadow Complex, Trials HD, Splosion Man, Teenage Mutant Ninja Turtles: Turtles in Time Re-Shelled, and MARVEL VS. CAPCOM 2. Avatar Marketplace: Bringing support for in-game Avatar Awardables and a virtual closet full of premium clothing and interactive props to download and purchase for your Avatar. User Ratings: Xbox is adding a five-star rating system that lets you rate any content in the Games Marketplace – no more surprises for DLC – the community will tell you what’s hot and what’s not. 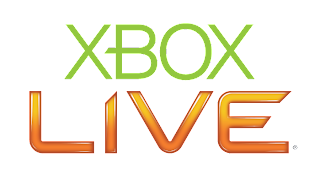 Performance Updates: Xbox LIVE is being upgraded for improved performance including better guide and friends access. This includes revamping the friends and Achievement lists and improved matchmaking support. Here is the notice from Major Nelson.